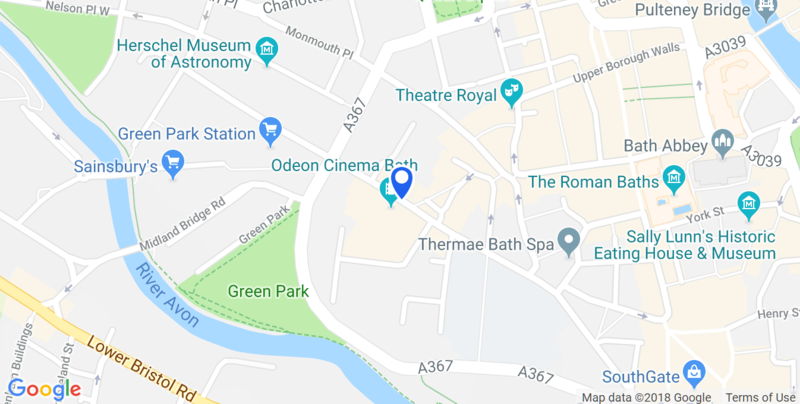 Postcode for Sat Nav: BA1 2AQ, Kingsmead Square, Bath. PARKING PRICES are as follows: Between 8am and 8pm: Up to 1 hour - £1.60, 1-2 hours - £3.10, 2-3 hours - £4.30, 3-4 hours £5.40. MAXIMUM STAY is 4 hours. Bath Spa is the nearest train station, and is a convenient 10 minute walk from Kingsmead. The nearest bus stop for the 2, 5, 10, 15 & 18 is Bath City Centre, James Street West. The nearest bus stop for the A4 is Bath City Centre, Avon Street. The nearest bus stop for the 1, 14, 37, 38, 39, 319 & X39 is Bath City Centre, Westgate Buildings. There are plenty of free cycle racks located in Premier Inn covered car-park. Motorcycles can park for free in the council-run parking areas nearby. Please check signage carefully.